Elsa’s Kopje is a luxurious lodge occupying the prime location in one of Kenya’s top wildlife areas. Carefully sculpted into the hill above George Adamson’s original campsite, the lodge enjoys spectacular views across the diverse habitats of Meru National Park. Despite the Parks abundant wildlife and exceptional biodiversity, it is one of the least-visited major Parks in Kenya, and guests at Elsa’s enjoy an almost unrivalled sense of privacy and wilderness. Meru features exceptional diversity of habitat and wildlife, from mountain forests to arid plains, with 13 perennial rivers brining vitality to an otherwise dry environment. This is “Big Five” country, but the Park is equally famous for hosting rare northern species such as the beautiful reticulated giraffe, Grevy’s zebra, gerenuk, Beisa oryx, and lesser kudu. Unsurprisingly lions are a particular strength of the Park, with elephants, giraffe, and rhinos (protected in a 20,000 acre sanctuary) being other notable highlights. 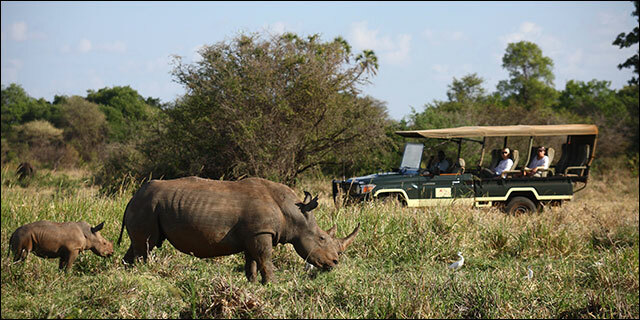 Guests at Elsa’s Kopje have the opportunity to explore Meru’s wildlife and wilderness with expert resident guides in specially adapted, open safari vehicles. Early evening drives with a spotlight focus on nocturnal species while guided walks reveal the hidden secrets of the ecosystem, from dung beetles to medicinal plants. Line fishing can be enjoyed from the palm-lined banks of one of Meru’s 13 rivers, and guests also have the option of visiting the local Tharaka community for cultural insight. Common facilities include an open bar, sitting and dining room, with an inviting infinity swimming pool overlooking the Meru plains. Elsa’s Kopje is renowned for its inspired cuisine, which hails largely from northern Italy, and features such delicacies as freshly picked salads and herbs, homemade bread baked daily in the camp’s traditional outdoor pizza oven, and handmade pasta. Breakfast and lunch are generally served in the airy dining room overlooking the swimming pool and dinner is taken al fresco at candlelit tables under the stars. For those seeking a bit of pampering, the spa offers massages, manicures and pedicures. Elsa’s Kopje is cleverly nestled into a rocky outcrop, elevated above Meru National Park. Each of its eleven open-fronted cottages is uniquely crafted of stone and thatch, incorporating natural features of the landscape into its design. The interiors of the organically shaped rooms are elegant in their simplicity, featuring gleaming wood floors, hand carved furnishings, oriental rugs, and beds draped in romantic white netting. Spacious en suite bathrooms offer stone showers or bathtubs and double vanities, while large verandahs provide sweeping views across the savannah. 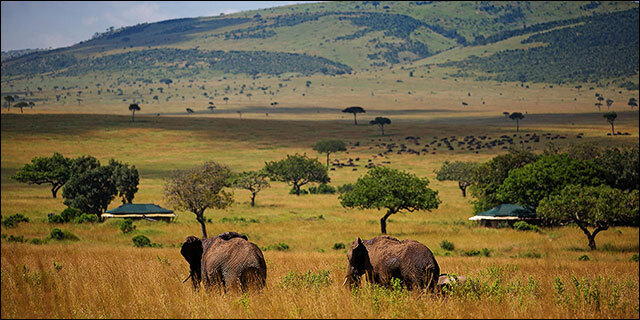 Meru’s broad array of habitat types and unique northern species make it an ideal complement to the open plains of the Maasai Mara while its rugged wilderness and very low tourist volumes make it a destination-of-choice for safari connoisseurs. 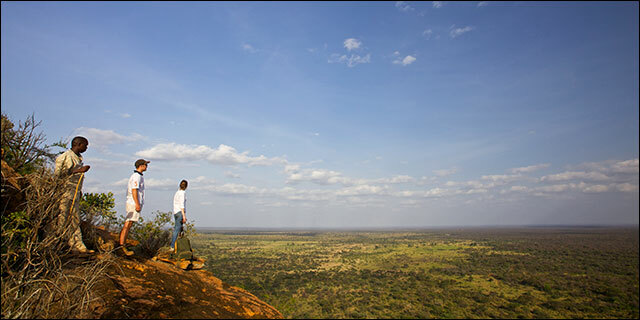 With virtually exclusive access to all this wilderness and biodiversity, Elsa’s Kopje is one of Kenya’s hidden gems.